Phra Nang Beach is in the Krabi region on the Railay peninsula. The beach can only be reached by walking from Railay East or by long-tail boat. 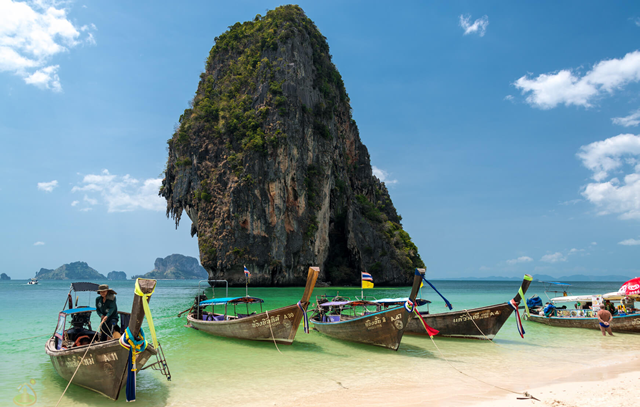 Phra Nang Beach is a popular trip destination and with good reason. The light-coloured sand is fine and soft, the water is clean and clear and the view of the rock cliffs in the background, as well as of the rock island near the beach, Koh Rang Nok (Bird Nest Island) , is impressive and beautifull, that can be easilly reached by swimming. Since ancient times, Phra Nang (Princess) Cave has been where fishermen, before going out to sea, have made offerings to the symbolic Phallus of Shiva (known as the Siwaleung or Palad Khik in Thai). Karst topography is a landscape formed from the dissolution of soluble rocks such as limestone, dolomite, and gypsum. It is characterized by underground drainage systems with sinkholes and caves. It has also been documented for more weathering-resistant rocks, such as quartzite, given the right conditions. 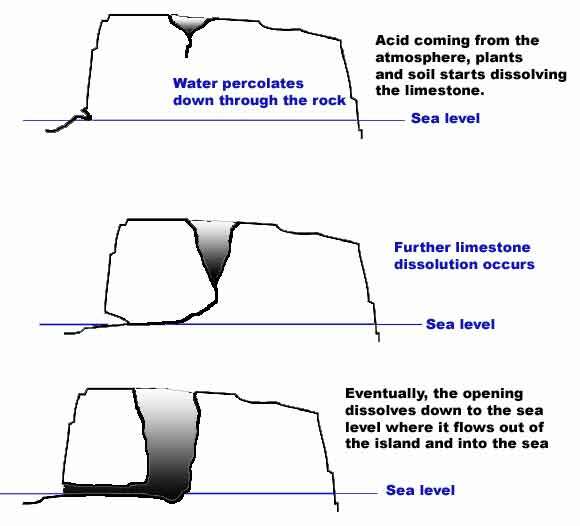 This dissolution occurs when mildly acidic water, created from carbon dioxide in rain, starts to break down the surface of bedrock near its cracks. As the bedrock (typically limestone or dolostone) continues to degrade, its cracks tend to get bigger. As time goes on, these fractures will become wider, and eventually a drainage system of some sort may start to form underneath. It may look like the hills have been sculpted by wind and water erosion, but the process is mostly a chemical one, acting over thousands of years. Karst landscapes show characteristic landforms caused by chemical dissolution, such as crevices, caves, dolines, sinkholes, poljes, stalactites and stalagmites. Streams and rivers sinking underground via swallow holes are also frequent. Krabi's spectacular land and seascapes are defined by its geology. Karst exists throughout the world, and many of the more famous cave systems are located in karst areas. 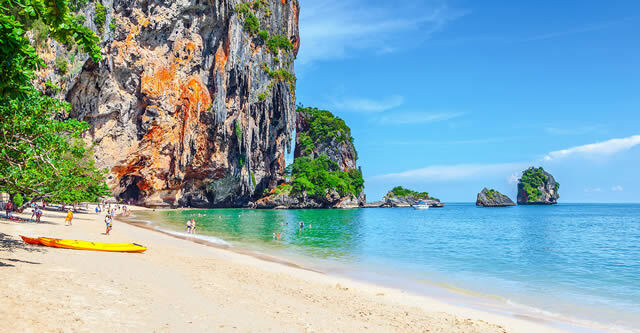 Krabi is only one of three spots (with Haolong Bay in Vietnam and Dalmatian Coast of Croatia) where the karst hills and towers extend into the adjacent seas and the only fully tropical location. The Krabi caves have been the sites of most its most important archeological discoveries. The karst cliffs and towers create some of the world's most accessible and best rock climbing locations. Railay and Phi Phi are rock climbing centers. Most of the climbs are mapped, rated (European system), and bolted, with makes climbing quicker and safer. a.) Describes in your words what is karst. b). What is the main reason for the dissolution of these cliffs? c). On the east side of the beach, we can find 2 different types of formations on the cliff, what are they? 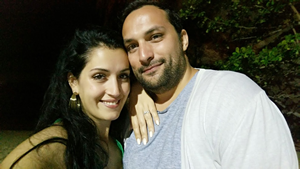 If you want take photos, we would love it. But please do not post photos of the GZ. This cache is dedicated to my Phra Nang Titas because this beach is very special for us.